We aim to achieve our mission through focused initiatives and activities addressing the needs of the diverse healthcare markets in the region relating to access, innovation and collaboration. Addressing the growing demand for healthcare in Asia Pacific requires a different kind of innovative thinking from all stakeholders in our economies. This means that patients, policymakers, payers, healthcare workers, hospital administrators, medical technology and pharmaceutical industries need to collaborate differently to solve the region’s common health care challenges. 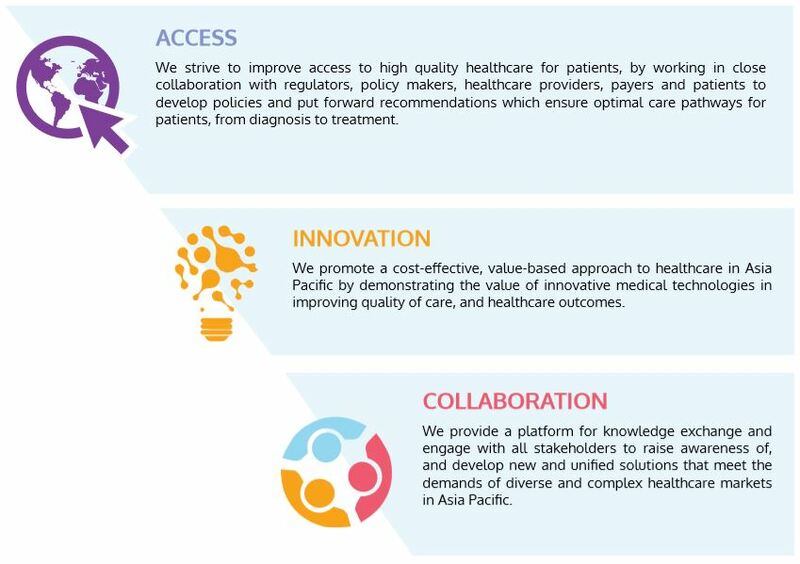 The Association will partner with all key stakeholders to meet the growing health care needs and expectations of stakeholders and improve healthcare outcomes in Asia Pacific.